After the first 15 minutes I felt like a totally new person.Trevor S.
I tried Pilates twice before and the instruction was too complicated and overwhelming. Bob’s instruction is easy to follow and makes Pilates simple to learn.Paula B. What I like about Bob's training videos are his style of teaching, precautionary comments, and of course the demonstration itself. 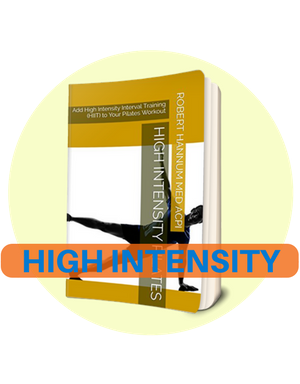 His style incorporates the end goal of each maneuver, and more importantly, HOW to undertake and achieve each of the steps that make up the entire exercise. Don't think that every teacher does this…Hannum's videos include a bunch of peripheral comments because he's fielded hundreds of questions from students he's already taught. You can't pay enough for that experience! When I watch his lessons over again, I usually hear gems of knowledge that I missed the first time.Ron W.
Pilates with Bob gave me a feeling of inner strength and coherence in a very short time—physically, but more important, psychologically.Roz D.
After steadily doing Bob's Pilate's routine (two or three times a week) I find my body has subtly shifted so that everything I do throughout my day is so much easier to accomplish.Cynthia A.
I have taken Pilates instruction from many teachers…If you like good classical Pilates, this is the best. Bob’s Pilates classes are closer to the real Joseph Pilates instructions than most Pilates instructors because he learned from one of Pilates’ original pupils...Kate P.
Bob is a great teacher, patient and encouraging, and also an inspiration in how fit he is.Lee E.
I started with zero Pilates experience, overweight, timid and sure I was going to quit within a month. But Bob made it do-able, graceful, challenging but not impossible, and all around delightful.Rev. Dr. Andrea A. Not only does the author explain why Pilates is one of the best exercise programs, he teaches it step-by-step and with extreme clarity.Catherine H.